Prepare hot chocolate as directed on package. 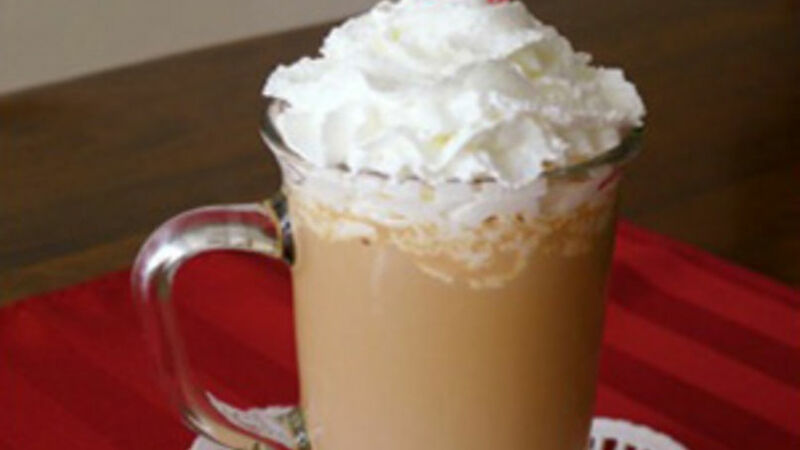 In tall glass, combine hot chocolate, coffee liquor and vanilla flavored vodka. Stir well to combine. Garnish with whipped cream and a sugar-coated cherry. A sweet after dinner drink with your loved one this Valentine's Day is a must. With just a few ingredients, you can make a dessert-style decadent beverage for this special dinner. Our Mocha Angel Kiss Cocktail is similar to the classic Angel Kiss, with a bit of chocolate liquor, coffee and vanilla vodka, who can resist?